This popular book is written by leading experts in the field and covers all the key aspects of healthcare management. Written with healthcare managers, professionals and students in mind, it provides an accessible and evidence-based guide to healthcare systems, services, organizations and management. Key areas covered include: * Structure and delivery of healthcare services in the international context, including mental health, acute care, primary care, chronic disease and integrated care * Allocating resources for healthcare: setting and managing priorities * Health technologies, research and innovation * Global health policy: governing health systems across borders * Patient and public involvement in healthcare * Healthcare governance and performance This third edition has been significantly rewritten, with 10 new contributors and a new chapter structure designed to better support learning, practical application and further study. In addition, there is a more international focus and each chapter includes new case studies giving global examples of health systems and services, new and updated learning activities to encourage application to your own organization, and a range of links to useful online resources. 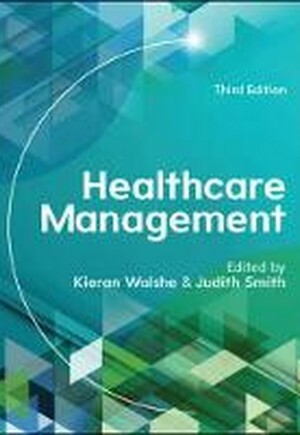 Healthcare Management is essential research-based reading for students, teachers and healthcare professionals involved in management, research and health policy making.